Anyone else have a problem with the latest version of Garmin's MapInstall, crippling and corrupting the compiled img file on the target device (uSD card)? I installed some OSM topo routable maps, and deleted some existing 3rd party maps from GPSFileDepot in the process. Tried to reinstall the 3rd-party GPSFileDepot maps with Mapinstall, and the compiled maps lacked detail, and were very crude....no topo line, missing highways, crude shaped reservoirs, etc. The compiling time was very short, and the resulting map img files seemed about a 1/3 size of what they were. Even Garmin's (legacy) TOPO US 2008 and Metroguide v8 were crippled and lacked/missing detail. Solution: used compiler/installer in last version of Mapsource, v6.16.2. All the maps above installed including the OSMs, as separate compiled img files....and they all have the full detail levels. Thanks be to Mapsource again, but I wonder if Garmin changed the code in the MapInstall proggie to cripple the detail level of the compiled img file of the target 3rd-party maps? Has this been discussed previously? Anyone else encounter this? Garmin disabled the transfer of register based maps in the latest version of MapInstall. This also includes their own older maps. 1. Download and install the .gmap versions most OSM providers offer. 2. Download the direct-to-mSD .img files most OSM providers offer. Rename them and copy them to your device. 3. 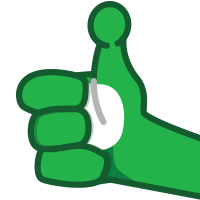 Go back to v4.6.2 of BaseCamp. Thanks StefandD. I heard reports that Garmin disabled, didn't know that they crippled. Yep, have no problem with OSMs, but it's the 3rd party maps on GPSFileDepot. Can find cotopo11 under Colorado. I did roll back to v4.6.2, and I did rollback Mapinstall to 4.0.4....image of compiled map comparison below. Thanks again, and all praise be to Mapsource. I knew there was a reason I hadn't updated to the latest version yet. 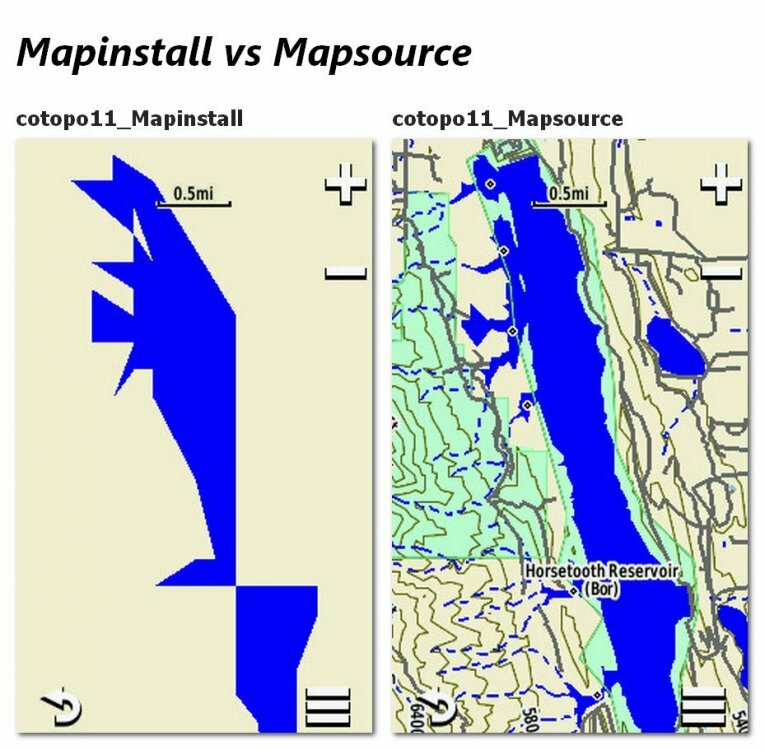 You can simply install the older version of Mapinstall, if you really like using it. I've always used Mapsource. Yeah, Mapsource is the way to go. The problem is which if any of the versions below did Garmin change their policy of crippling the detail? Only the latest version. If you had a problem with the older version, you have some other issue.
" On my end I'm running the latest version of Win 10 (10.0.17763), installing on a Garmin OR-700 SW v4.40, using latest Mapinstall v4.2.0, last Mapsource v6.16.2"
You stated that you rolled back to 4.0.4 and still had the issue. The issue is ONLY with 4.2.0. If you still have the issue after changing back, there is another problem or you did not successfully roll back. Yes, had the problem with Mapinstaller 4.2 (latest), rolled back to 4.0.4 same problem. At some point Garmin changed their policy on supporting 3rd-party maps. I don't know what version of Mapinstall that occurred. Not gonna spend the time rolling back again and again until I find it. No problem with OSMs....only GPSFileDepot maps. Mapsource install works on GPSFileDepot. We have explained...a few times.... The loss of 3rd party maps is ONLY IN VERSION 4.2 You have either not properly changed back to the older version or you have another issue.